A chair with a refreshingly airy touch - After the spectacular success of our Very British line we wanted to create a further alternative in a shade of blue - and the result was this classic. In the search for the right fabrics we found top-quality cloth at a weaving mill in Flanders. With the colours and patterns we were influenced by Irish traditions. And a new bestseller was born. This masterpiece from a European upholstery workshop is a real eyecatcher, which gives new joy every day. The elaborate weave in the best Belgian tradition, the fabric with its high pile and 10 different ornaments represent real highlights. The base is of solid beechwood. 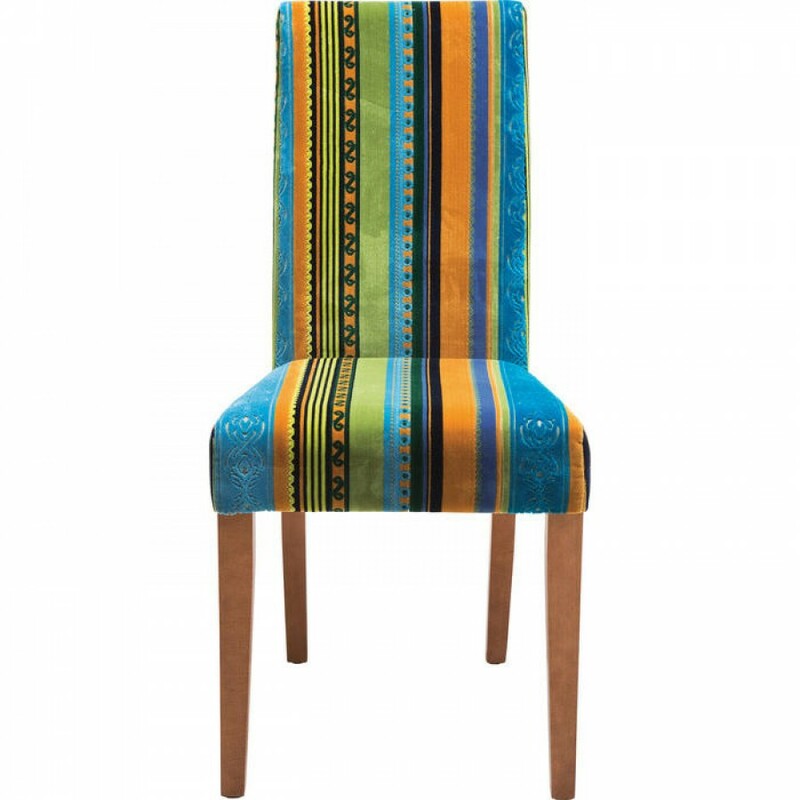 The chair is upholstered with a soft, easy-care fabric made of microfibre (67% polyester (mirhon(microfiber)/B1, 33% viscose). The seat height is 49cm. 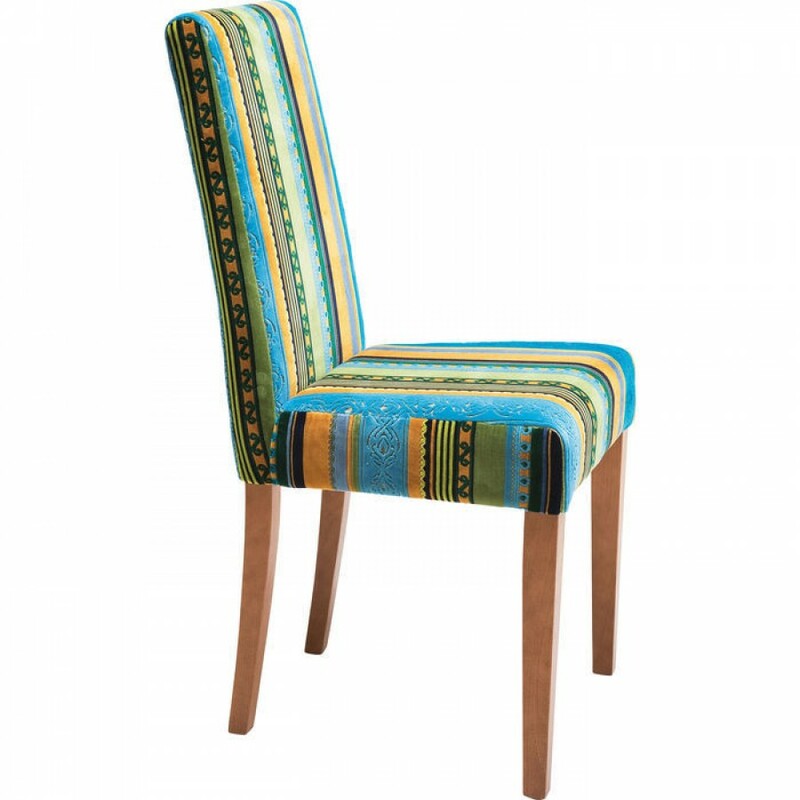 This dining room chair gives you flexibility, because it s ideal for combining with a range of furnishing styles and other articles of furniture.